A Seattle woman who suffered a broken eye socket after a police officer punched her in the face while handcuffed in the back of a patrol car filed a $1m claim against the city, alleging assault and arrest without probable cause. The incident was captured by a patrol-car dashboard camera. 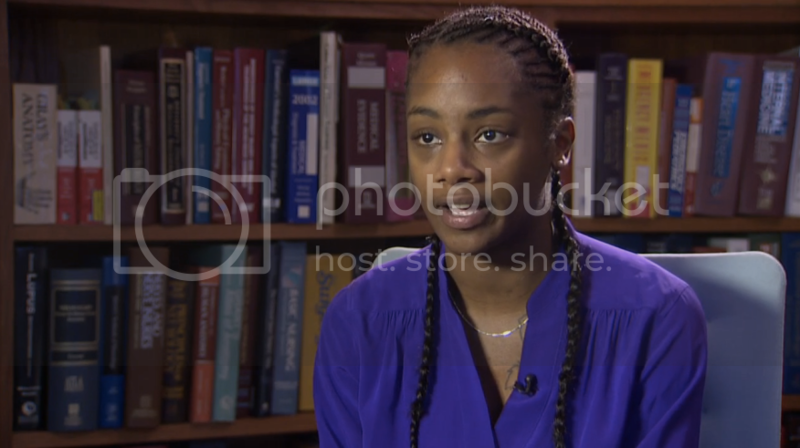 Seattle police officer Adley Shepherd responded to the scene of a domestic dispute in June 2014, where he arrested Miyekko Durden-Bosley, then 23. The woman allegedly became verbally abusive with the officer, and Shepherd can be heard accusing her of “escalating” the situation on camera. Shepherd handcuffed Durden-Bosley, and she appears to be tossed into the back of a patrol car. Almost immediately after Durden-Bosley lands in the back seat Shepherd yells “She kicked me!” and lunges into the back seat of the car, on top of the woman, the video shows. Shepherd punched Durden-Bosley so severely that she suffered a concussion and a broken orbital socket. Durden-Bosley told Seattle’s KING5 that she had headaches and blurry vision from the punch seven months later. She told KING5 that she doesn’t remember whether she kicked the officer. The Washington state patrol, the Seattle-based federal US attorney and Seattle police launched investigations as a result of the incident, several media outlets reported. And amid high-profile cases of police brutality, such as the killing of unarmed teenager Michael Brown in Ferguson, Missouri, Durden-Bosley’s case has garnered significant public attention. Nevertheless, in December, the King County prosecuting attorney Dan Satterberg declined to press charges against Shepherd (who remains on administrative leave), the Seattle Times reported . Satterberg said state law permits officers to use “all necessary means” to subdue an arrestee. The claim filed with the city of Seattle is the precursor to a lawsuit against a government in Washington state. If the city refuses to settle the claim, Durden-Bosley’s attorney can file a suit against the city.